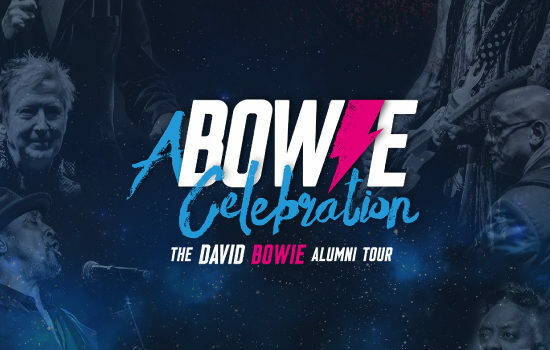 Prior to the 2019 full trek, which includes a 17-date European tour from January 9 through February 1, A BOWIE CELEBRATION has a limited run of West Coast tour dates taking place this month, September 26-30, stopping in Ventura, Riverside, San Diego, Reno and Saratoga. The San Diego show will feature Emmy and Golden Globe nominated actress (“Westworld”) and singer (Rebel and A Basketcase) Evan Rachel Wood re-joining the all-star band to sing a variety of songs. Wood sat in earlier this year at the Los Angeles and Atlanta shows and was seen on “The Tonight Show Starring Jimmy Fallon” in April raving about the tour. As Wood explained to Fallon, “It’s not a cover band, it’s the band! It’s the actual band, so when you’re there it sounds as close as you’re going to get to Bowie.” Other special guests who joined the 2018 run included Perry Farrell, Joe Sumner, Fantastic Negrito, Mark Plati, Mr Hudson, David Liebman, Gaby Moreno and Sass Jordan.